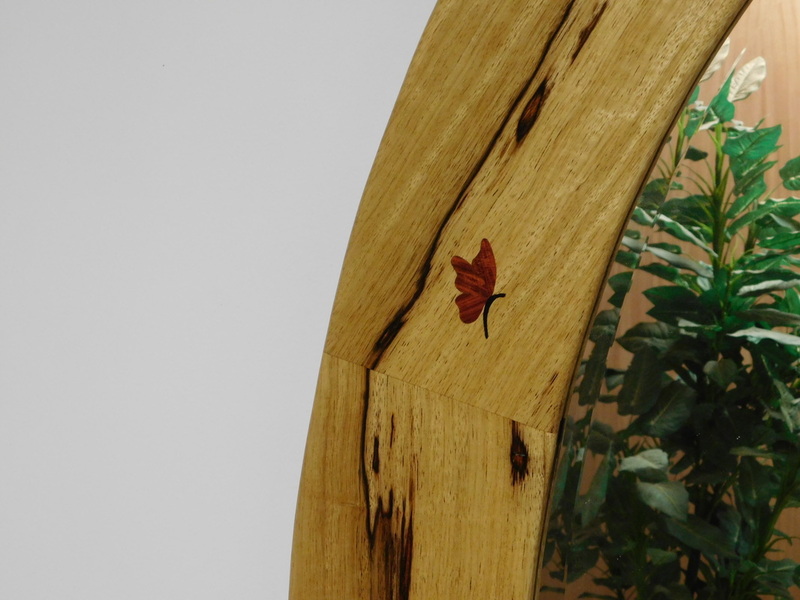 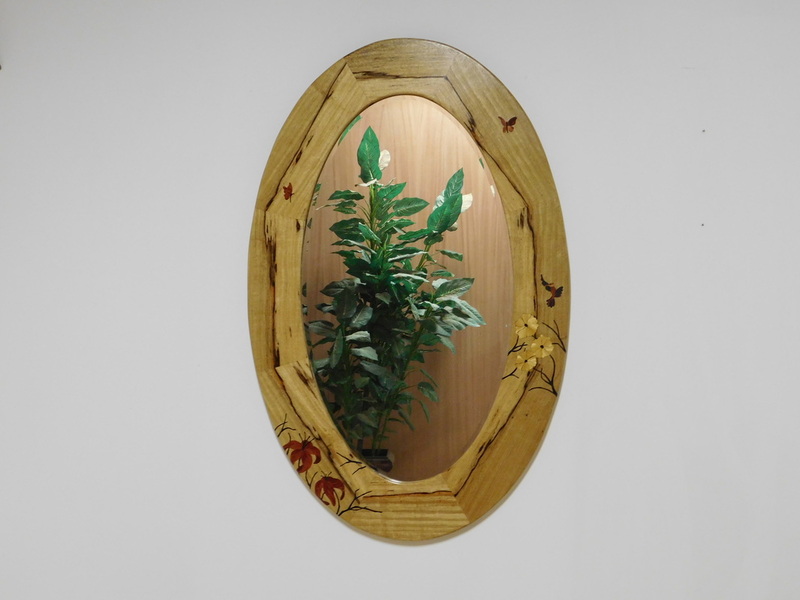 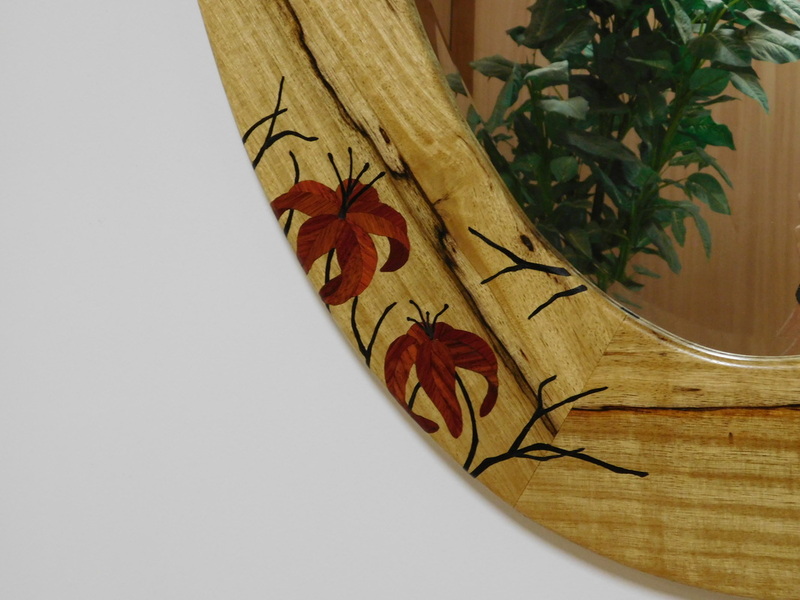 Black Limba (West Africa) frame, with inlaid butterflies made of Redheart (Brazil) and Bubinga (Gabon). 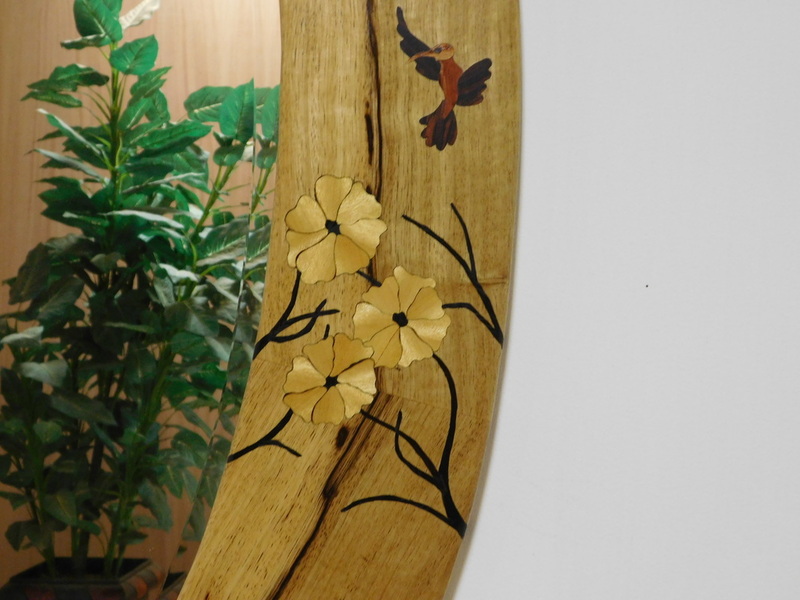 The humming bird is inlaid with Cocobolo (Brazil) and Canarywood (Brazil), the yellow flowers are Satinwood (Brazil) and the red flowers are Bloodwood (Central America), all with inlaid branches of Wenge (Cameroon). 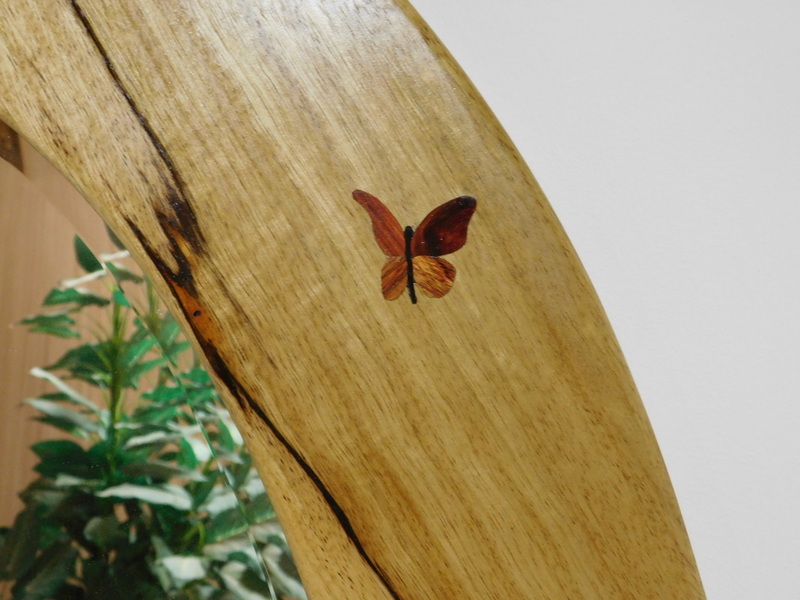 size - 50" x 32"
It's the wood, the beauty of nature, I just put the pieces where they wanted to go.